Recently, there have been a number of articles and discussions comparing and contrasting silicate and silicone hair care products. 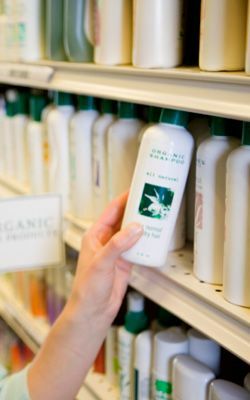 The similar sounding names have led to some understandable confusion regarding the nature and purpose of these ingredients in shampoos and conditioners. Both are common ingredients found in a variety of products such as skin cleansers, shampoos, creams, masques, and hair conditioners. Many curly-haired consumers avoid silicones or attempt to minimize or restrict their use in their hair care routine. However, the use of silicate-containing products is occasionally advocated based on the premise that they are “natural alternatives” to synthetic silicones. Unfortunately, this information is not entirely accurate and stems from a misunderstanding of the chemical nature and structure of these two very different types of materials. 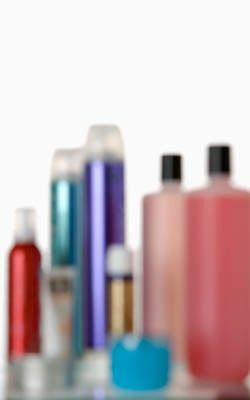 A closer examination of the chemical and physical properties of each category should be useful for anyone who is curious about the molecular nature of these ingredients and what function they perform when included in hair care products. Silicone hair products have been discussed extensively on this website and others, so this will be a quick review rather than an exhaustive treatise. They are a diverse family of synthetic inorganic polymers based upon polydimethylsiloxane that can be prepared and modified in numerous ways in order to produce materials suitable for a wide range of applications. 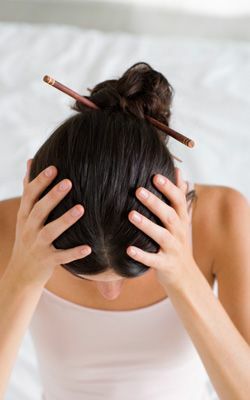 Silicones used in hair care products are typically long, flexible molecules with a backbone comprised of thousands of repeat units of some variation of –(O-Si-O)- linkages with differing organic (carbon-containing) pendant groups attached to the central silicone atom. These are typically liquid at room temperature and are oily in their consistency. They are most often insoluble in water, but are sometimes modified with ethylene glycol groups or other atoms to render them water-soluble. The physical properties of silicones cause them to adsorb onto the surface of hair and to spread out, forming a smooth film, which increases slip along and between hair strands and decreases combing forces. This renders them superior conditioner agents and detanglers. Additionally, they provide thermal protection, which reduces structural damage incurred from the use of heated styling tools. 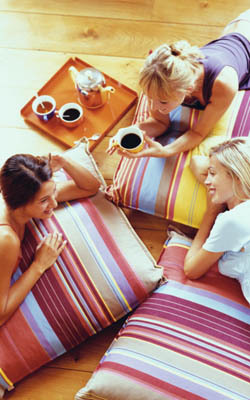 They have also been found to increase the longevity of color in dyed hair. Silicone polymers have a high refractive index, which allows them to impart an extraordinary level of gloss to the hair, which gives the appearance of shiny, glamorous tresses. Clearly, despite their reputation in the curly community, silicone polymers provide many direct benefits to hair when used in shampoos, conditioners and styling products. Silicates used in hair and skin care products are inorganic minerals called clays, which are mined from the earth. Similar to silicones, these minerals are comprised of silicon and oxygen. However, the similarity ends there. Unlike silicones, these are not long chains of repeat units, but are rather small clusters of ionically-charged, crystalline platelets with various metal ions associated with them. Silicates are extremely hygroscopic, meaning not only are they water soluble, but they will absorb large quantities of water. 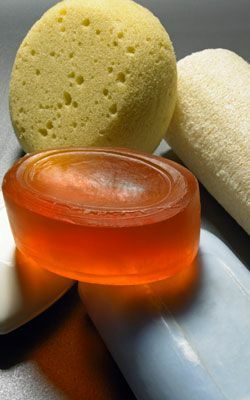 Due to this property, as well as their plate-like structure, these materials are used in shampoos and conditioners as viscosity modifiers (thickeners). They are also effective as exfoliating agents, humectants and slip agents. They act as emulsion stabilizers and help prevent flocculation of ingredients. They have been found to have some beneficial properties for hair because they can help remove impurities and improve the health of the scalp. However, silicates do not provide significant conditioning, detangling, thermal or color protection, nor do they impart gloss to hair. Their primary benefit is to the physical properties (viscosity and shelf stability) of the formula in which they are included. They are not typically part of a formula for the same reasons as silicones at all. They are not silicone substitutes. Both silicones and silicates have significant, yet extremely different benefits, when used in a formulation. A person who chooses to avoid silicone hair products due to concerns about build up on the hair need not avoid silicates. However, one should be aware that silicate clays do not act as substitutes for silicones, and excellent conditioning products need to still be used regularly. We break down silicate and silicone hair products in laymen's terms, including the good, the bad and the real ugly.